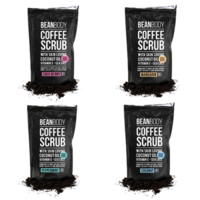 A 2-pack bundle of Bean Body’s Peppermint and Coconut, or Mandarin and Coco-Berry all-natural coffee scrubs. All scrubs are *Organic, *Vegan-Friendly, *Natural Sourced, *Cruelty-Free. Bean wants to be a friend you can always count on and trust. What’s important to you is important to us. Our skin-loving scrubs use the highest quality, cold pressed coconut oil blended with naturally sourced Arabica coffee beans to exfoliate and cleanse. Proven to brighten your skin, and subsequently your day, Bean is bursting with natural ingredients that have been formulated to bring out the very best in your skin. Combining these wonder ingredients is how Bean combats all sorts of skin conditions such as eczema, acne, stretch marks, psoriasis, dry skin, cellulite, anti ageing, blackheads, age spots, varicose veins & skin blemishes. It's a fun product to experience, have fun with the visuals – or a beautiful photo would do nicely as well. Stories while using it are much appreciated! Why use natural, vegan-friendly skincare? In order to apply you must meet the following criteria. 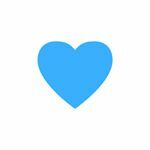 • You must have 1 featured Instagram post. • You must have Allow people to contact me enabled in your profile. • You have at least 3.5k Instagram followers. • You are located in United Kingdom; United States.